Scouts will need to bring their own personal equipment for camps. The following list is a guide to what is generally required although more specific information will usually be supplied at the time by the leader as part of the camp information. To make the most of camps and other activities, it is important that each young person has the right kit, so they don’t get cold or wet. Please do not over Pack for your Scout as they do have to carry it themselves as the leaders will have their own and extra to carry. Get your Scout to have a go of carrying their rucksack once packed. Waterproof jacket and trousers. A waterproof coat and trousers is amongst the most essential kit you will need both for staying dry and reducing wind chill in windy conditions. Please note that the training tops provided by sports clubs and “pack-a-mac” style waterproofs are completely unsuitable. If you look in any outdoors shop you will see that it’s possible to spend whatever you want on a water proof coat. Thankfully it’s not necessary to spend a fortune. Things to look for are a hood that will cover your head while wearing a hat, wind proof cuffs (i.e. adjustable or elasticated) and seems that have been taped on the inside. For water proof trousers zips up the legs that allow them to be put on without taking your boots off is always really helpful! Warm jumpers or fleeces Even in summer, it gets cold in the evening. Shirts/tee-shirts Enough for duration of camp. A number of layers are warmer than one thick one and the warmth can be regulated more easily. Trousers Enough for duration of camp. Jeans must not be brought as these get too wet. Activity clothing (as required) Bring appropriate clothing for the planned activities. If it’s going to be muddy or wet then bring old clothes. Underwear and socks Enough for camp plus spares. Note there is nothing worse than cold, wet feet on a wet and muddy hike, so take plenty of pairs of socks. Hiking boots While wellie boots will keep your feet dry by the time you get to Scouts they are no longer very useful as if you are on a hike or on your feet all day they get very sweaty, your feet get sore and they give very little ankle support. Instead go for a pair of walking boots which will keep your feet warm and dry, protect them if you tread on anything sharp (nails on woodpiles) give ankle support on hikes and are safer when controlling a fire or swinging an axe. Like waterproofs you can spend what you want on a pair of boots but again there is no need. The most important thing to watch for is that they are made of a waterproof material (leather or Gore-Tex is most common), be careful as some fabric boots are not properly waterproof and that they fit properly. When trying them on make sure you are wearing thick walking socks. You should be able to just about get two fingers down the back of them if they fit right. Have a good walk around in them in the shop and make sure nothing is rubbing or uncomfortable. Before using them for real make sure you wear them in by wearing them around the house or on short walks. Modern boots don’t take as much wearing in as they once did but it’s still a sensible thing to do. Finally remember to wear them with proper woollen hiking socks. Cotton socks will just make your feet sweaty and sore. It is worth spending time practising tying bootlaces at home – we tend to find that Scouts often leave them loose and this is also a big cause of blisters! Sleeping bag Where would we be without sleep? Pretty tired and grumpy probably! Sleeping bags come in two main types, synthetic and down (ie feather filled) Down are warmer, pack down smaller and are generally better. They are, however, VERY expensive. Synthetic sleeping bags are far more likely to suit most people’s budget. They also have the advantage of if they get wet then they dry out a lot more quickly. You will see sleeping bags rated in two different ways for warmth. Either seasons or on comfort range. As a general rule 3-4 season sleeping bags are most suitable. 1 and 2 season bags are not normally warm enough. It is possible to get 5 and even 6 season bags for very cold weather but these will generally be far too hot and sweaty for what scouts will get up to. For temperature rated bags a common rating is +12C to -5c and this is generally perfect for scouts. Do make sure that you get one with a hood at the top for keeping your head warm! Most bags come in a stuff sack with compression straps. For storing your sleeping bag it is best to keep it out of the stuff sack and hung up. Alas most people don’t have the space for that, what is important though is if they are in the stuff sack to stuff them in and not roll them and do NOT tighten the compression straps, these should only be used to get it into your rucksack. Compressing or rolling the bag damages the fibres or feathers and means it will lose warmth. Scouts should practice packing their sleeping bag away before attending camp. Pillow Air pillows are good, as full size pillows take up a lot of space. You can always take an empty pillow case and fill it with clothes at night! Eating kit (unbreakable plate, bowl, cup) Make it durable, plastic or metal but not Mum’s best china! Wash kit (face cloth, soap, toothbrush, toothpaste) Keep in a waterproof bag. Using soap and toothbrush containers is a good idea to keep everything separate. Towel(s) Needed after heavy rain, falling in water, swimming or (just maybe) after having a wash! Medication Must be handed over to a leader. Rucksack Suggest 65 litre or larger. Much more practical than a suitcase, please make sure the Scout can carry it though. Don’t forget the thick plastic liner, in case of rain. Plastic bags or sacks for dirty washing/boots Please note that black bin bags, although very suitable, can look like a bag of rubbish if left unattended on a field; we would recommend coloured plastic bags. Torch and spare batteries Headtorches have made camping so much easier so please make sure your kid child has one. Do not pack your torch with batteries fitted (or at the bottom of your kit) as it could easily get accidentally turned on and you will arrive at the camp/holiday with flat batteries. Watch A cheap one that can cope with getting wet is a good idea. Small Day Sack Ideally about a 25L for carrying drink and waterproofs should we go out for the day. Sweets & Drinks No fizzy drinks should be brought to camp, Scouts can bring a reasonable amount of sweets for a midnight snack. 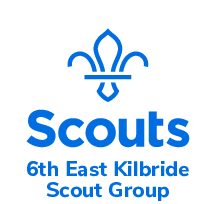 The Scout Group cannot accept responsibility for loss or damage to any personal effects and the Scout Association does not provide automatic insurance for such items. If your child requires medication while on camp please hand it in to a leader in a named container giving full details of medication required. All equipment and clothing must be clearly marked with the owner’s name; Buy a permanent pen and write your Scouts names (or even just their initials) on absolutely everything. Your Scouts kit will miraculously gravitate into a big pile of smelly laundry in the middle of the tent and there’s only one way to be sure of getting it back! Please do not include any electronic games, phones, radios or mp3 players. Aerosols, matches, lighters and any other flammable liquid or gas must never be brought to camps; these are dangerous and not necessary. Kit should be packed in a rucksack. It is important that there are no loose items. Line the kit bag with a plastic bag. Due to the nature of camps and activities, it is advisable to wear old clothing and footwear as there is a good chance they will get very wet, dirty and/or damaged.